TapSnap will ascend to new heights this January, doing its first mountaintop event from the lofty splendor of Whistler Mountain and the resort’s spectacular Roundhouse Lodge. 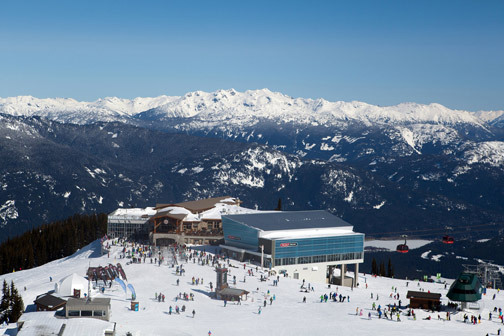 The Whistler Blackcomb Resort is the ultimate skiers’ paradise – two mountains and mile upon mile of limitless powder, renowned as an event site of the 2010 Winter Olympics. Every January, it’s the setting for the TELUS Winter Classic, an action-packed ski festival featuring fun-filled ski events, food and wine galore, fabulous live entertainment and more. The high-profile weekend is all in support of a very worthy cause – the Whistler Blackcomb Foundation, which provides grants to local non-profit organizations as a way of enhancing the mountain’s role in the community. The list of corporate sponsors reads like a who’s who of big brands. Along with TELUS and Cisco, sponsors include Accenture, SAP, Budweiser, Jackson-Triggs Estate Wines, The Westin Resort and Spa Whistler, Hilton Whistler Resort and Spa and many more. The grand finale of the weekend is where TapSnap comes in, with two machines taking photos of the guests at the Cisco Great Gatsby Mountain Top Gala. With tickets going for $175 per person, there’ll be dinner, dining, an auction and glamorous guests looking like they just stepped out of a party hosted by the Great Gatsby himself. To get there, TapSnap will be going for a bit of a ride: a 25-minute gondola ride.